Besides finding out about the Yellowstone Treasures guidebook and learning of news in the Yellowstone area on Janet Chapple’s author blog, what else can you do on this website? If you have kids, you can explore what it would be like to travel with them to the park in “Taking the family to Yellowstone Park” and “Itinerary for a family trip.” And now there’s another activity for kids: go to the new “Color a Wildflower” page to find coloring pages for the flowering plants and trees that grow in Yellowstone. 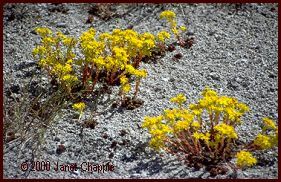 In fact, one of the ones you can print out and color is the stonecrop, pictured above. If you want to be sure your pictures are botanically accurate, you can even use the coloring guide for each page, which shows you which color to use for each part. It’s a great way to familiarize yourself with the plants before you get there! CREDITS: The photo is by Bruno Giletti.